The long unavailable soundtrack album The Venture Bros : The Music Of JG Thirlwell has been repressed on CD and is now exclusively distributed by Thirlwell’s label Ectopic Ents. 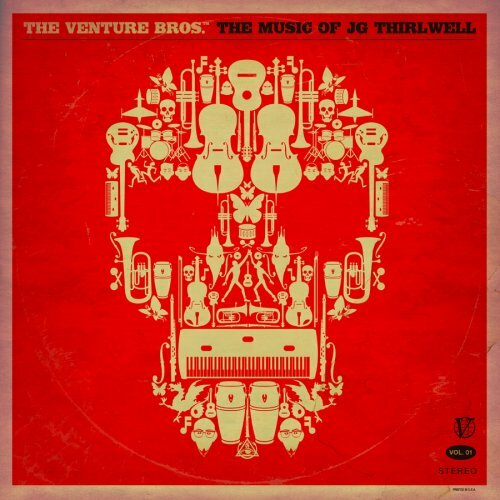 Thirlwell has been hard at work creating huge amounts of exciting music for the score of the fifth season of the Venture Bros, which will premiere in 2013 on Adult Swim / Cartoon Network. The network recently broadcast a season five teaser in the form of the hugely popular Venture Bros Halloween special.